M1 Motors is a full-service car repair and maintenance facility specialising in both import and domestic vehicle repairs. We have the knowledge and experience to fix even the most challenging issues in the shortest time possible and return your vehicle in top-top condition. Our experts perform scheduled car service and provide complete car-care solutions including tyres, brake repairs, clutch replacement, wheel alignments, logbook service, transmissions, engine diagnostic and roadworthy certificate at reasonable prices. We use the latest technology to assess the situation and provide appropriate solution, exceeding your expectation. Our car mechanic team is equipped with high-tech diagnostic equipment to guarantee that your vehicle is repaired correctly the first time around. If you would like to keep your car always on the road, call 03 9873 3668 and speak to the professionals at M1 Motors. 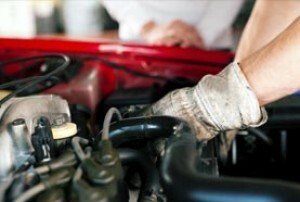 We handle all aspects of car repairs and get your vehicle running like new again.